How long will it take to get my adoption tax credit? Once we receive all of the required documents from you, AdoptFund® will prepare the amended or new tax returns to file for you adoption tax credit within two weeks. Once the IRS receives the returns, the IRS averages approximately nine months to process the refunds. Some of our clients have received their refund in less than two months, while others have waited more than a year. What documents are required to qualify for the adoption tax credit refund? a. Your Federal tax return for the year of adoption and all subsequent years. You may be eligible to receive a refund, depending on your tax liability for the year of adoption and the subsequent 5 years. If you had no income the year the adoption or subsequent years, you are not eligible for an adoption credit. The credit is nonrefundable, which means it is limited to your tax liability for the year. If you cannot find your returns, you can order copies at no charge from the IRS by requesting a transcript at (800) 905-9946.
b. Final Adoption Order stamped by the court which shows your adoption is finalized. c. Verification of required status by state. AdoptFund has found that the post-adoption subsidy assistance agreement is the best verification. Is there an income limitation? Yes, the amount of the credit begins to phase out above a certain income level. In general, if your adjusted gross income in the year that the adoption was finalized is less than $189,170, then you qualify. If your income is greater than $241,000, then you exceed the maximum. If your income falls in between, you may have a reduced credit. Can I still get the refund if I pay no tax and do not file tax returns? No, the adoption tax credit reverted to a non-refundable credit for adoptions finalized after December 31, 2011. 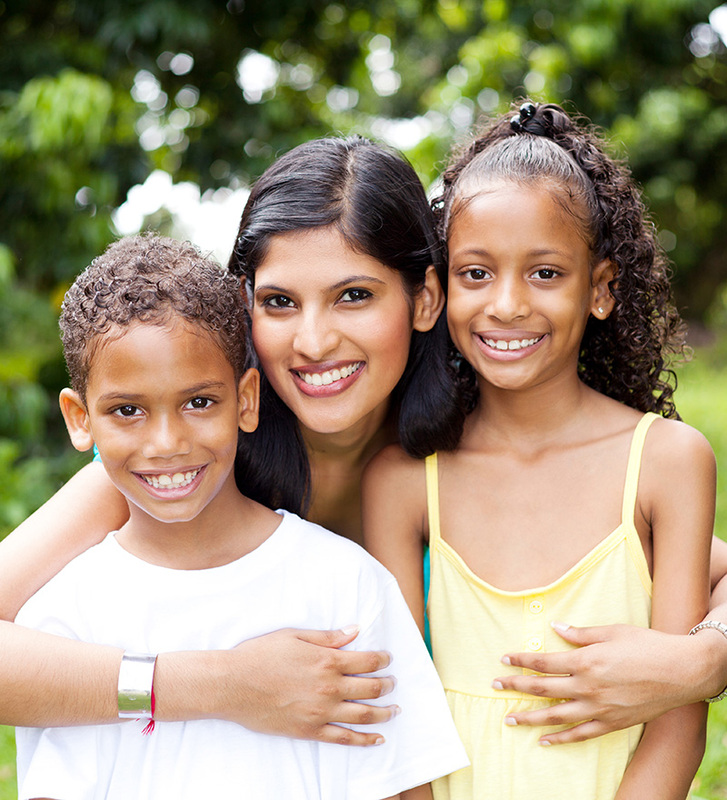 Families must have tax liability to benefit from the adoption tax credit refund. Families who do not have federal income tax liability will not benefit. Yes and no. The tax credit for adopting a child has been available for over 15 years, but only people who paid taxes could benefit. As part of the Health Care law enacted in 2010, the credit became refundable for the years 2010 and 2011, which allowed taxpayers with little to no tax liability to benefit from the Adoption Credit if they adopted a child between 2005 and 2011. Currently, only taxpayers with an adoption in 2012 to present may qualify to claim the Adoption Credit as a non-refundable credit. The fastest way to get started is to complete the form on our website and we will contact you. Alternatively, call our office at (855) 991-7680 or email us at info@adoptfund.com and we can give you more information. How do I contact AdoptFund? You can call us toll-free at (855) 991-7680, email us at info@adoptfund.com or click the link to contact us. If I work with AdoptFund am I guaranteed to receive a refund? We cannot guarantee that you will receive a refund, but our success rate is currently over 95%. Of the small percentage of clients who have not received refunds, in all cases it was due to their failure to provide us the necessary documentation as referenced in No. 2 above in a timely manner. Will AdoptFund take a percentage of my refund? No, AdoptFund receives a set fee based on the work we do for you. We will provide you with a written schedule of charges, so there are no surprises. How much do I pay AdoptFund upfront? AdoptFund does not require pre-payment. Our fee is payable after completion of the process. Will the adoption credit affect our post-adoption subsidy payment? The post-adoption subsidy payment from the State is based on the needs of the child and should not be affected by a federal tax refund. No. The refund is not taxable, but if the IRS pays interest on the funds, the earned interest income is taxable. Can I get the adoption credit every year? No, you can only claim the adoption credit once for every child. You may, however, carryforward the credit to subsequent years if you do not have enough tax liability to claim the entire credit in the year the adoption was finalized. Is there any impact on my taxes for the year following my receiving the refund? The refund itself does not impact your taxes at all, but often the IRS includes interest with the refund. That interest is taxable for federal purposes and need to be included on your tax return as income in the year received. The fee you pay to AdoptFund is deductible as a tax preparation fee. My adoption was finalized before 2012. Can I still claim the refundable adoption credit? No, as of April 15, 2015 only families with adoptions finalized from 2012 to 2015 can apply for the non-refundable adoption credit. My adoption was finalized after 2012. Can I claim the adoption credit? Yes and no. You may be eligible to receive a refund, depending on your tax liability for the year of adoption and the subsequent 5 years. Contact us for a free review of your tax returns. If you have questions not covered here, or would like any additional information please contact us.